The truck is giving out donuts, tacos and free tickets as part of the NFL's "Random Acts of Kickoff" campaign. Pinpointing the exact moment when food trucks went from hip alternative dining trend to a mainstream mania isn't easy—but it's clearly well in our rearview. Studies suggest that these mobile eateries have been a billion dollar industry for years. 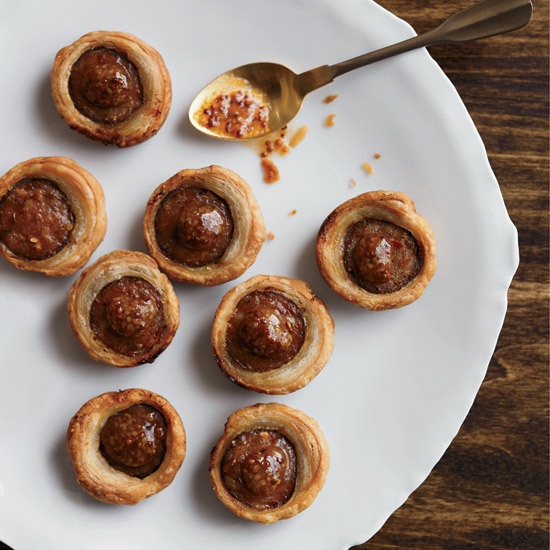 At the same time, the food truck craze has been co-opted for all sorts of promotional purposes: IKEA used one to sling meatballs; Olive Garden drove one around to spread the word about breadstick sandwiches. And now, the Los Angeles Rams are using a food truck to promote the city's recently revived football team. This week, leading up to the Los Angeles Rams' season opener against the Indianapolis Colts, a Rams-branded food truck—named, fittingly, the Rams Food Truck—is traveling around the greater Los Angeles area spreading love in its ultimate form: free donuts, tacos, and football tickets. It's all part of the NFL's oddly-named "Random Acts of Kickoff" campaign. For the record, these aren't just any donuts and tacos. 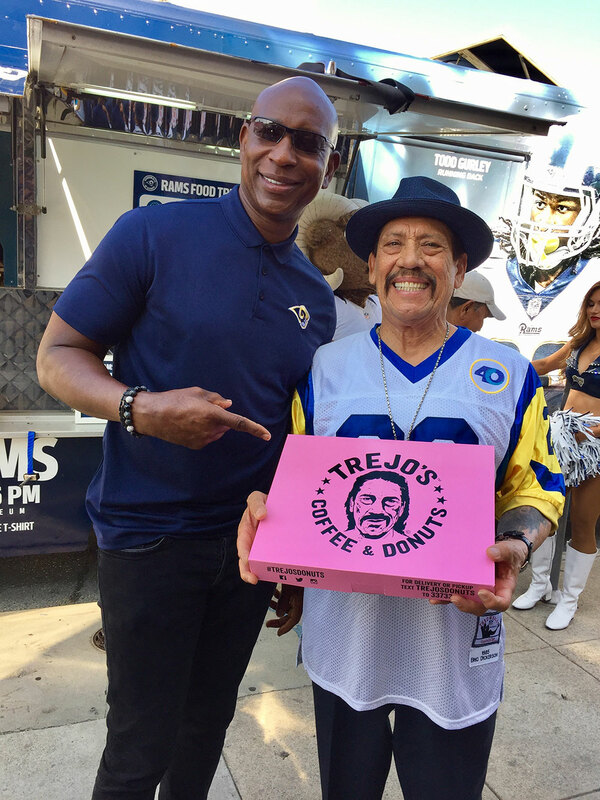 The donuts, which are being served in the morning, are "Ram-themed" and come from none other than Hollywood legend Danny Trejo's heavily-hyped Trejo's Coffee and Donuts. Then, in the afternoons and evenings, it's time for "football-themed tacos." Just what makes them football-themed, or where they come from, isn't entirely clear. But hey, according to the Rams, visitors to the truck will also "have the opportunity to receive team merchandise and one lucky fan at each location will be randomly selected to win a pair of tickets to the season opener on September 10"—so maybe don't be so picky about the tacos, huh? 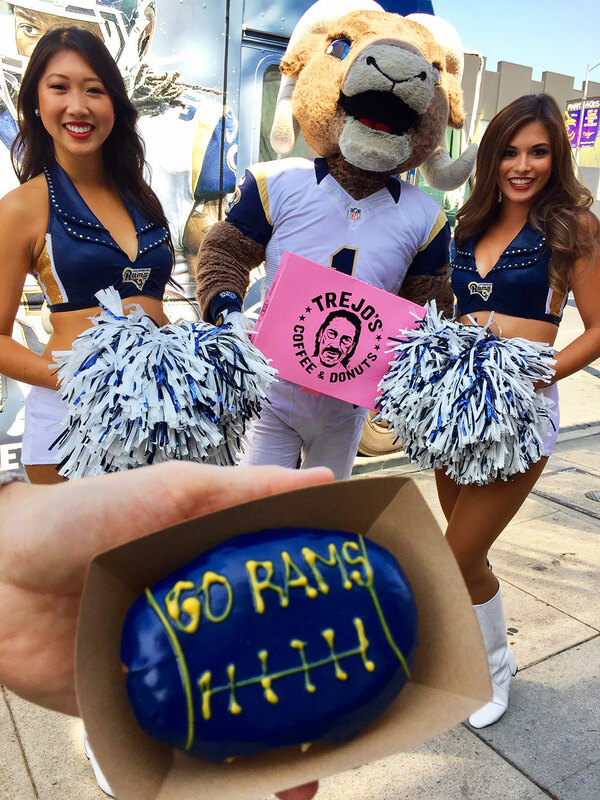 The Rams Food Truck kicked things off in Hollywood, Griffith Park and Studio City yesterday. Today, it will be covering Orange County and Inglewood, and then the rest of the week includes stops in the San Fernando Valley, Conejo Valley, Downtown, the Arts District, Santa Monica and Venice. You can find a complete itinerary with exact addresses on the Ram's website.